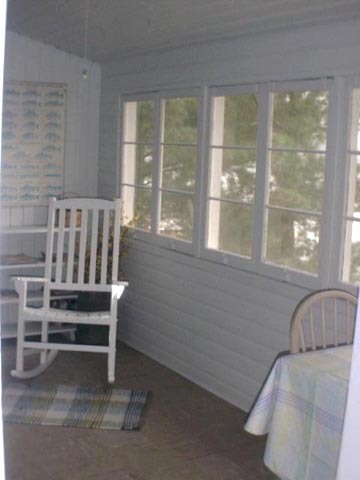 The Beachland experience is quiet and restful. 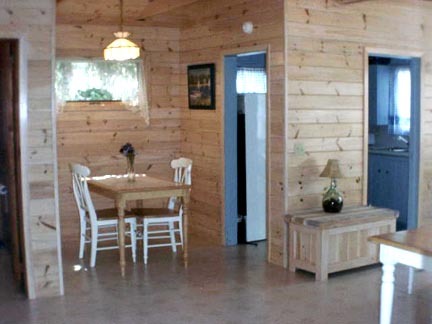 Quaint cottages in a serene setting create the feel of a trip to Grandma's house. 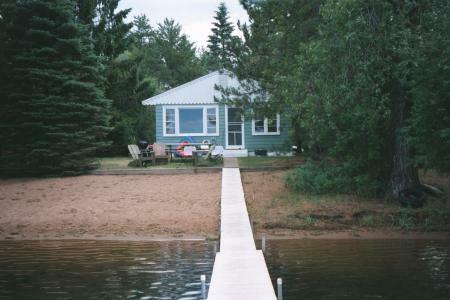 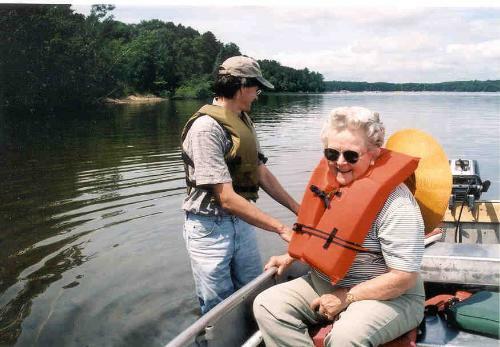 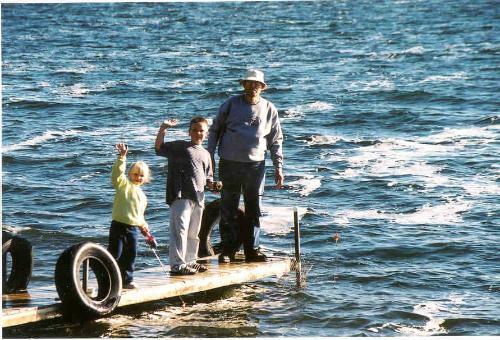 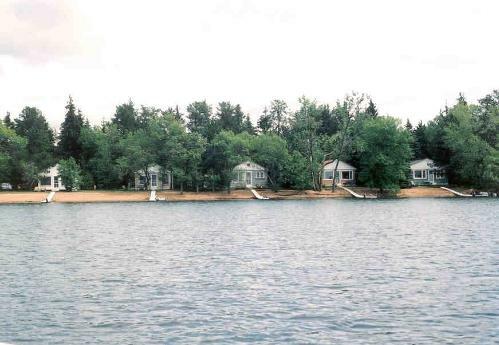 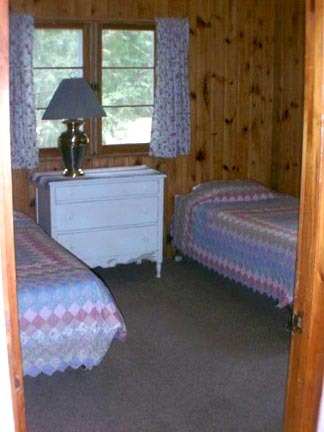 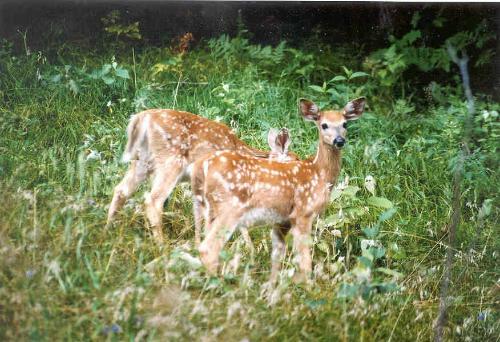 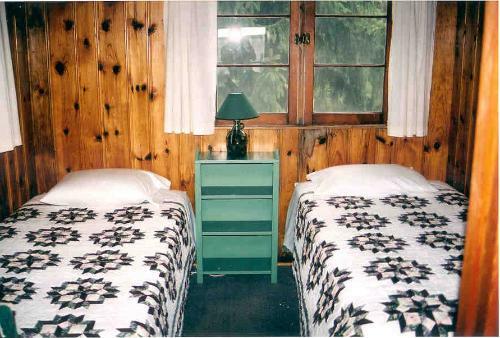 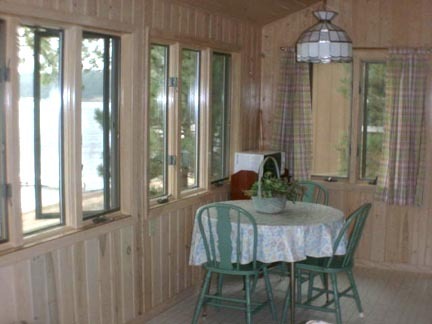 The cottage interiors are fresh and comfortable, with plenty of windows to let in the clean Northwoods air. 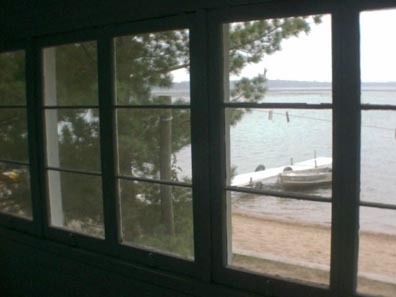 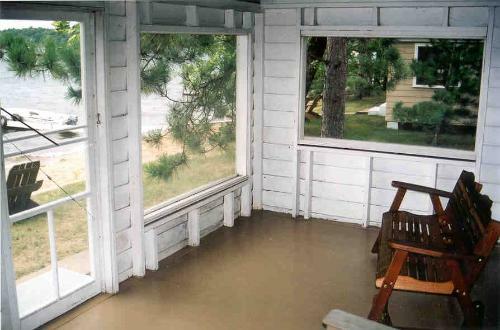 All cabins have a large picture window that looks out across the lake. 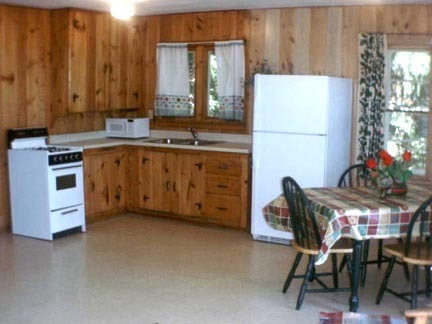 Fully-equipped kitchens provide a microwave, coffee pot, toaster, dishes, pots & pans, and all the essentials. 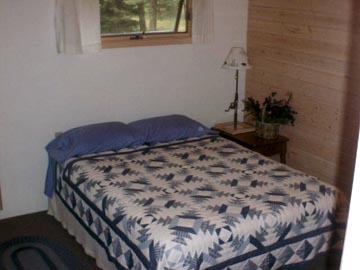 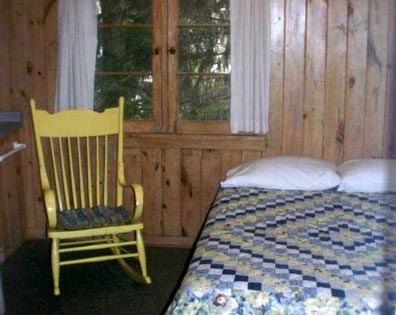 Most cottages offer one full or Queen bed and two single beds. 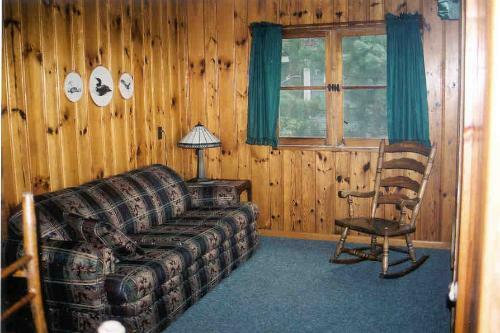 Several also have sofa beds or lofts. 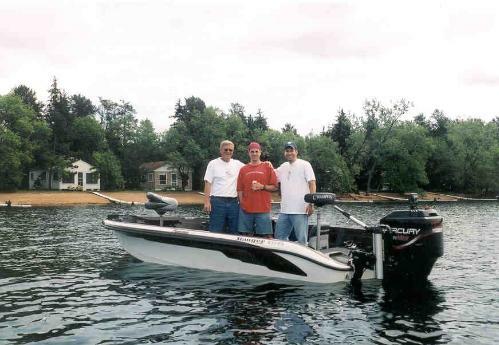 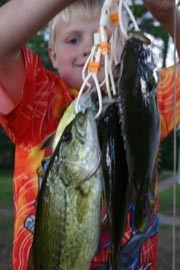 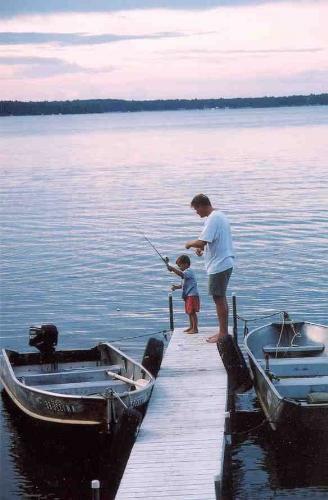 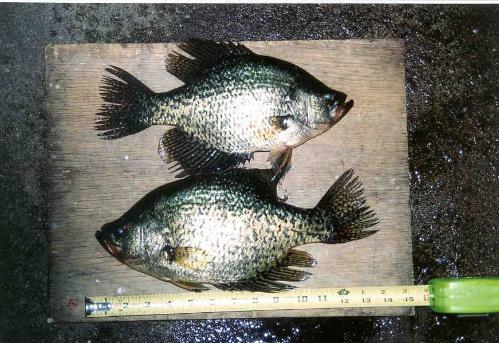 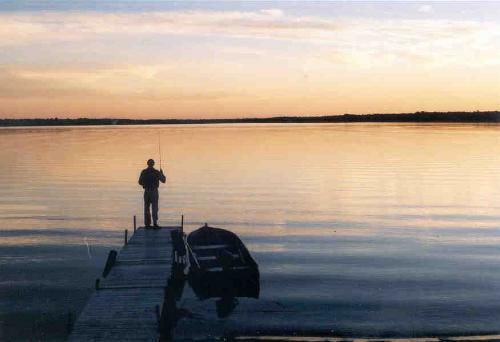 Outside, you'll find your own private dock and some of the best fishing around. 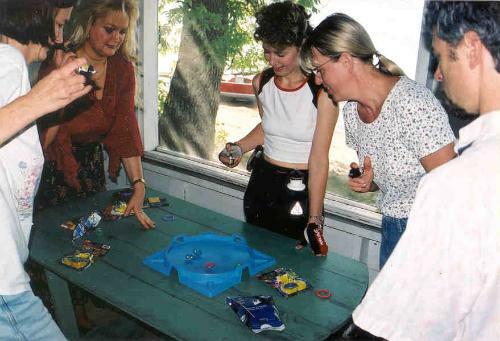 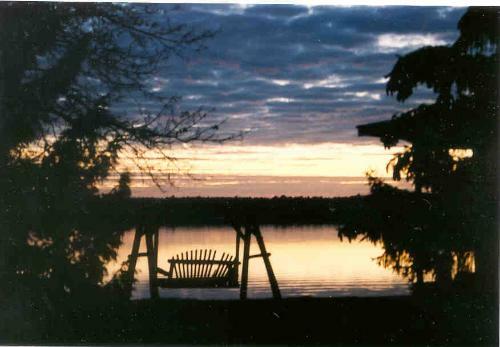 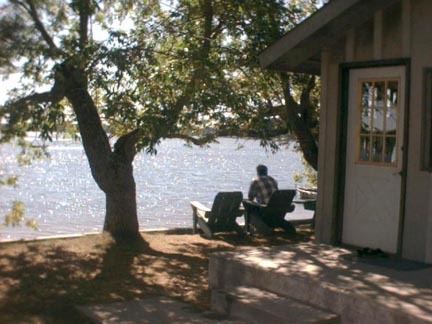 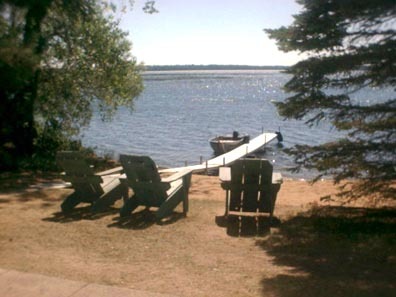 So pull up a chair and join us . . .
. . . for a vacation experience you'll never forget.
. . . And every cottage has a dining area or Breakfast nook.